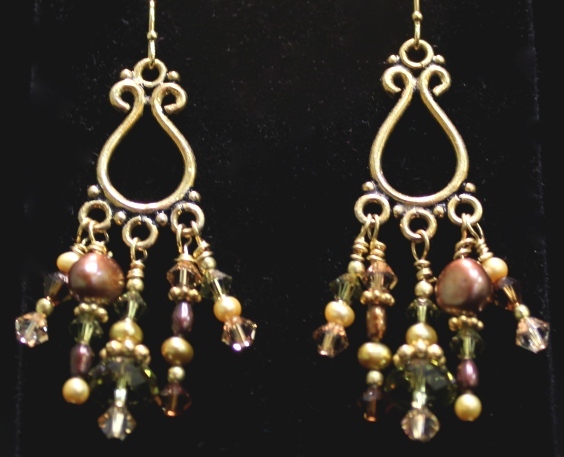 Earrings Class: In our earrings class you will use chain nose pliers, round nose pliers and wire cutters to create one pair of cluster, or 3 pairs of drop earrings while learning the loop-and-wrap technique. This technique may also be used to make pendants, bracelets, necklaces, dangles and much more. 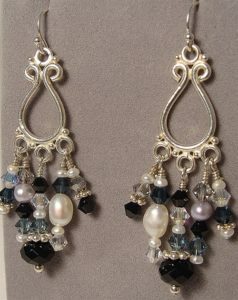 This is THE class to bring your jewelry making to another level. Students will leave with a completed project. Class fee is $30 + materials. Average class time is 1.5 hours. Please plan to arrive early to select your materials.